Because any foods that are crunchy, chewy, or hard to bite into can damage brackets and wires, it’s time to freshen up your go-to snack list. Luckily, Dr. Meehan can recommend many healthy and braces-friendly choices when children need something to tide them over until dinner. You are constantly looking for ways to make your children’s lives better. Mix and match any of these foods for a snack that’s not only good for their braces, but good for their teeth and bodies! Let us know your child’s favorite snack the next time you visit our Palos Heights, IL office! If creative recycling is one of your talents, you might have already discovered how handy repurposed brushes are for cleaning delicate or hard-to-reach spaces around the house. But those old brushes don’t have to spend their entire existence cleaning! 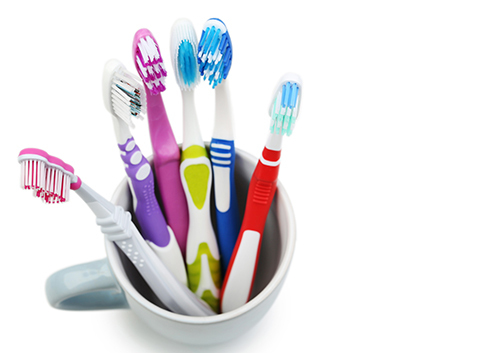 Here are some ideas from Dr. Meehan to give a new, artistic life to your old, uninspired toothbrush. In the long run, wearing braces is so worth it. Whether you’re working toward straight teeth, an improved bite, or both, you’ll end up with a beautiful smile! But sometimes, in the short run, they can be really annoying. Braces can irritate your lips, tongue, and cheeks while you are getting used to them or after an adjustment. Or a problem wire can poke the inside of your mouth and you can’t see us immediately for a repair. At times like these, Dr. Meehan will recommend orthodontic wax to make your life more comfortable. You probably have lots of other questions. Can you sleep with wax on your braces? Will it help you be more comfortable at trumpet practice? That’s why we’re here! If you have any questions at all about orthodontic wax and how to use it, call our Palos Heights, IL office. We want to make sure that the months you spend wearing braces are as comfortable as possible on your way to a lifetime of beautiful smiles. It’s so worth it! 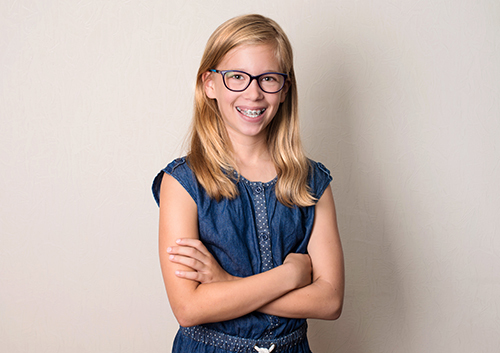 You might be surprised to learn that Dr. Meehan and our team recommend an orthodontic appointment even before your child has had that last visit from the Tooth Fairy. In fact, orthodontic assessments at our Palos Heights, IL office can be beneficial at many stages of your child’s life. Let’s look at some of the reasons why. If you have any concerns about your child’s teeth or bite, even before the permanent teeth arrive, give our Palos Heights, IL office a call. Early treatment can often prevent future problems and might even lead to faster orthodontic results. At each stage of your child’s growth, we are here to provide your best options for healthy, happy smiles.